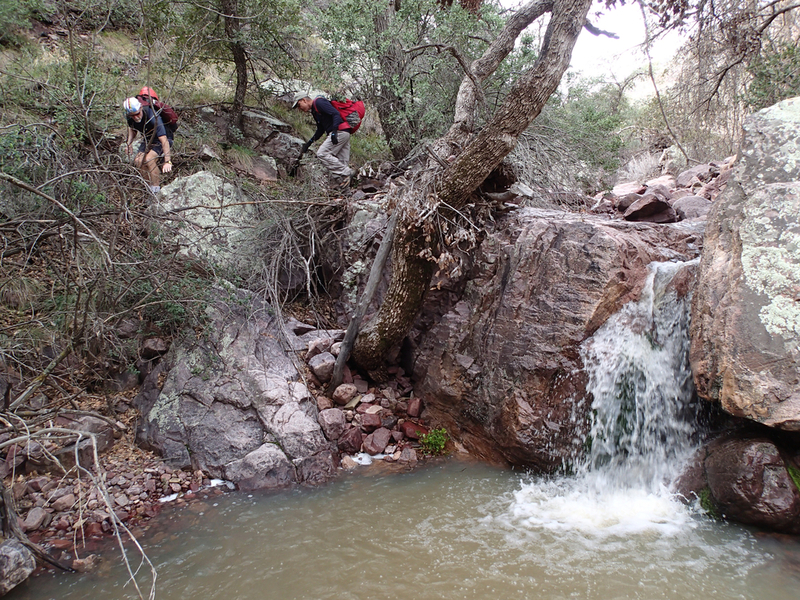 Shake Tree Canyon is in the Mazatzal Wilderness near Rye Arizona. 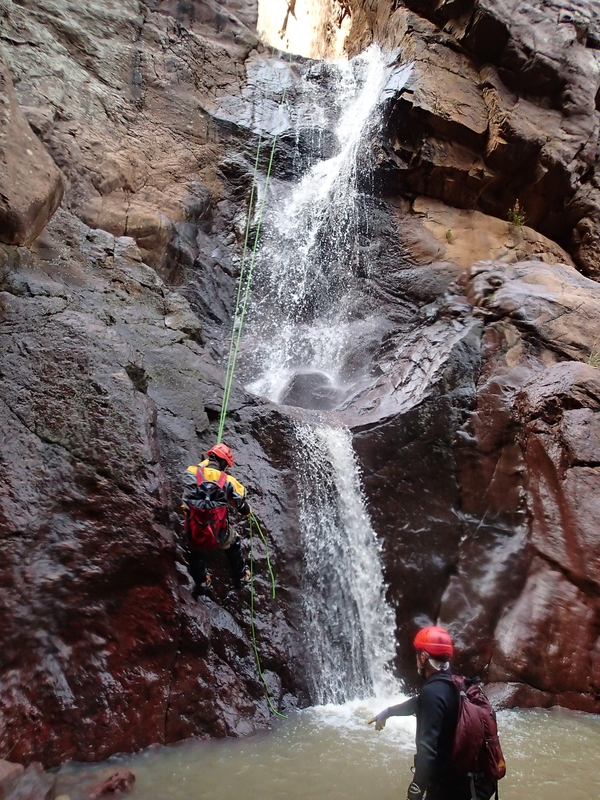 The flow can vary widely depending on weather conditions and if caught after good rains or with snow melt the conditions are ideal for several great waterfall rappels. 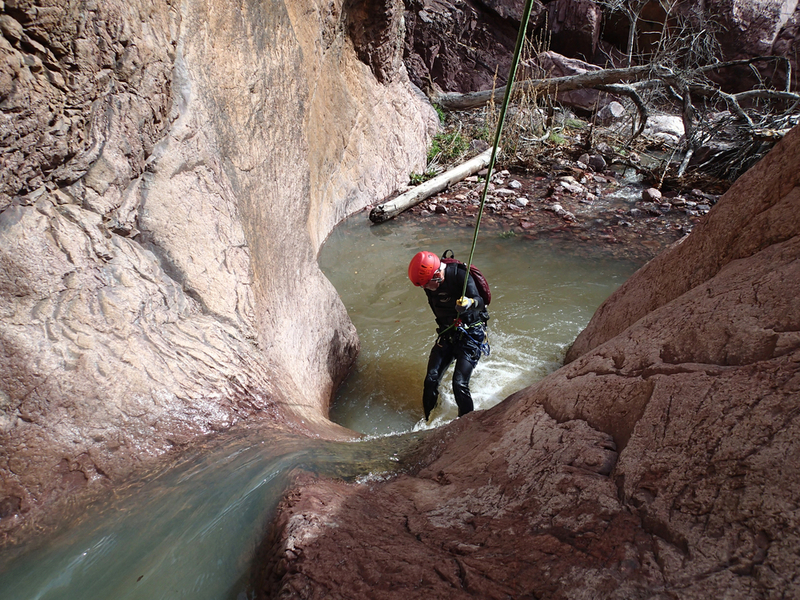 Shake tree had a lot of payoff in the form of rappels for the effort, they seemed to be one after another throughout the short canyon. 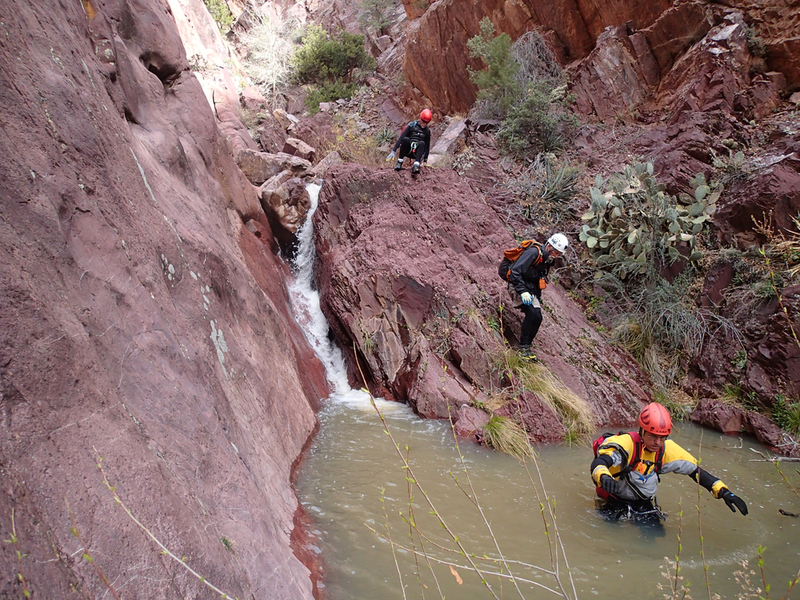 Soon after the last rappel we exited on canyon left and made our way up the loose, rocky hill back up to the trail we had come in on earlier and quickly found ourselves back at the vehicles. The route shown here is the traditional route that I have seen passenger cars make their way down the road to the defined trail head parking area. To save time, one could also take the road leading up to Shake Ridge utilizing a high clearance vehicle and make your way to the drop in from there. This road can easily be seen on the interactive topo.